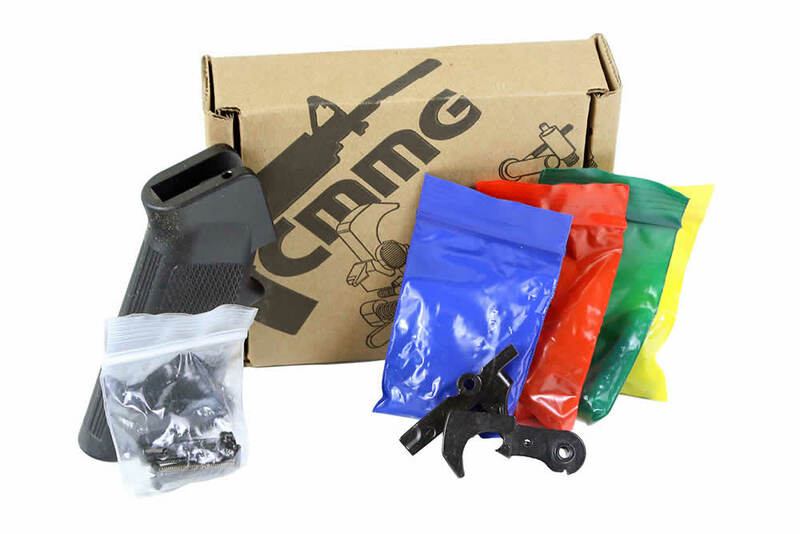 CMMG lower parts kit is designed for AR-15 lowers, kit includes a pistol grip, fire control trigger, and pins required to complete a stripped lower. Stop loosing your mind trying to hammer in oversize and out of spec pins, save your lowers finish and preserve your mental health by buying it right the first time. Fits perfectly. Trigger pull was 6 lbs. Kit has it all for the lower. Installed easily. Fits perfectly. After it was all done and lubed I tested the pull. It broke at exactly 6 lbs. I couldn't believe it so I tried it several times. Same results! Not gritty but nice and smooth trigger pull. I'll buy it again for my next build. I ordered 2 of these kits had finish 2 lowers I had sitting in the safe. I was actually surprised how fast I got them. 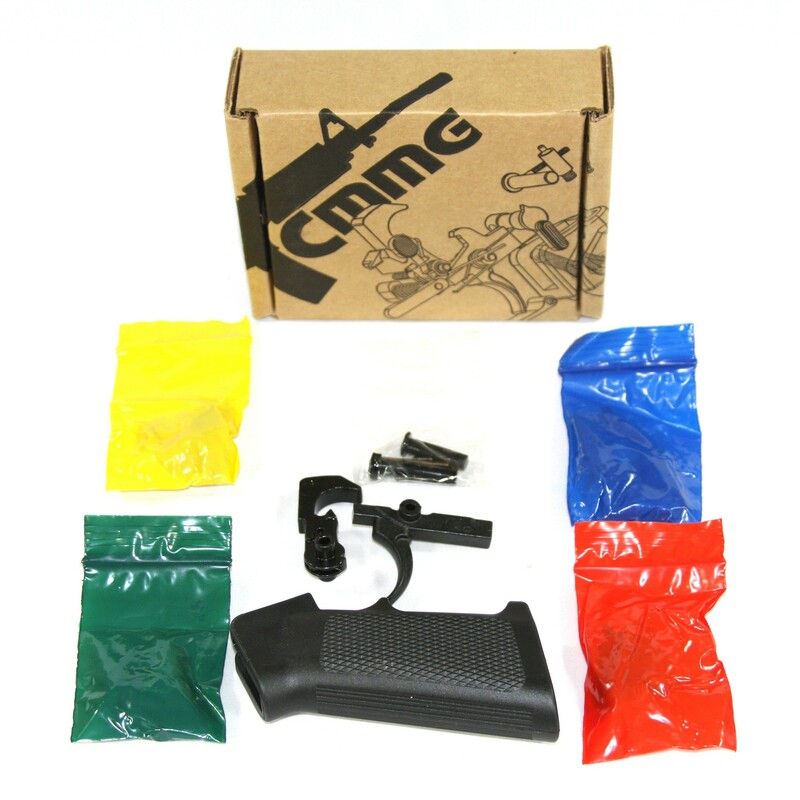 They came in a small box and the springs and little parts was in separate zip lock bags (in the cmmg box). I've already installed and the fit and finish is great, much better than the psa and armalite LPKs. I will definitely be ordering more to keep on hand the way things are going. Fit great, pins were good size and not to much work to get in. Shipping was FAST! Nice trigegr pull without going crazy with match stuff.